So we all want to write New Years posts about resolutions we should make — mostly resolutions we could have made last year and will probably make again next year. To me, this is a good time to make conceptual resolutions — not about what we’ll do, but about how we’ll think, and especially what questions we will ask. Two years ago, for example, I suggested a resolution against binary thinking — that is, to reject any formation of a problem that is “either-or” or “us vs them” or “win-lose”. For 2016, let me propose a resolution that’s a little more concrete, maybe a little easier to bring to bear in any situation. In other words, ask: What real points of view, and real dimensions of the human experience, are not represented in this conversation? How could their absence lead us to make a bad decision even with the best of intentions, and how do we compensate for that? Why this? Because in many parts of society, including urban planning, the rooms in which decisions are made are getting smaller and less diverse, and that can make for worse decisions, no matter how well-intentioned the people in the room are. What’s more, creating a diverse room is harder and harder, because people are just less interested in spending any time in rooms with people who don’t share their experience — either physically or online. So it is easier than ever, in this historical moment, for us to forge a seemingly complete society of people who think just the way we do. Not just on the internet, but also in physical space: Because I live where I do, and go where I go, I tend to meet people like me. Every day, I sadly scan my Twitter feed seeking some sentiment that isn’t just reinforcing my own beliefs. I have this reaction because I want to live in the presence of the real, and this constant emotional reinforcement of my opinions is the opposite. It makes me feel like a CEO or elected official who is only told what staff thinks they want to hear, and who therefore ends up completely unaware of what’s actually going on. We can all identify urban planning disasters that arose from only certain people being in the room. One thing that happens in small rooms, for example, is that people agree too quickly that an ideal implies a technology or product. Tools are so cool that we mistake the tool for its purpose. For example: “freedom means cars which means more highways,” (even if that leads to freedom-destroying congestion). But another example is: “urban redevelopment means rails in the street, but done fast and cheaply, which means streetcars” (even streetcars that don’t function well as transit, because they are stuck in traffic or don’t follow real patterns of demand). I suspect transit consultants notice the small-room problem more than the average professional does, because in our field we don’t have an organized circle of professionals who reinforce each other’s habits and ways of thought. Architects and traffic engineers and developers and emergency services planners spend lots of time in rooms with people like them, in conferences and professional organizations. But transit planning isn’t an especially recognized and accredited profession. Many powerful people have no idea that it even exists as an expertise. So transit planners don’t spend much time in rooms where everyone shares their professional knowledge and assumptions. The larger reason transit planners tend to notice small-room problems is that transit is intrinsically a win-win proposition with a long-term payoff. In fact, the longer-term your view, the more win-win it is. 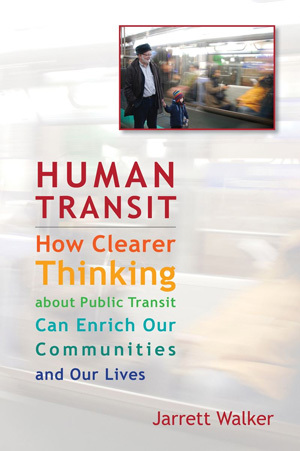 The most successful transit services of all — rail rapid transit in big cities — work because of the huge diversity of people who find them useful, and because they’ve had a chance to pay off in the long run, by helping the city grow around them. These are the consummate win-win services, not just because there are so many riders from every part of the society, but because so many people benefit from the economic, environmental, and social opportunities that these services create. But it’s politically hard to develop those kinds of services, because so many people assume that all issues are win-lose. An elected official will cut short my briefing by asking: “Who are the winners and losers here?” And let’s admit: Most of us sometimes like winning in ways that require there to be losers. If we didn’t, nobody would care about sports, or relish the drama of competition. But if you need there to be losers, then you need there to be people outside the room. And that will prevent you from designing transit to do what transit does best, which to provide liberation and economic prosperity to a vast diversity of people. Include Bus Rapid Transit on Rapid Transit Maps? Who is not in the room? I would say economists. Executing a good transit plan requires funding, and one of the best ways to raise that is to levy land value taxes which tax land, but not the value of the buildings constructed on them. LVT encourages density (waste land = you pay) and also provides revenue for upgrading PT services. In addition, its a tax that is much less harmful than almost all other taxes. Many sentiments expressed by prominent urban designers stem from the role transit plays in encouraging urban redevelopment. Aesthetic judgements flow easily when real estate values can be pinned to them. Thus, when the transit experience is considered, false dichotomies (binary choices) tend to appear that may quickly undermine goals of transit. What helped me as a practicing urban designer to avoid these trapdoor dichotomies is to realize that I needed to consider the total experience of the transit user, and that involved thinking much more broadly about the roles that aesthetics can play in the transit experience. I actually needed to expand the categories that involved my aesthetic judgments. Not just the vehicle, the “fun transit” and its guideway, but the street, the delight at approaching the stop, the ease to cross the intersection, the invigorating feeling I get stepping out of the vehicle, the immediacy of the network map, the choices of destination I can incorporate into my routines and my exploration of the city. Part of that expansion also involves appreciating deeply how daily transit users discuss their experiences. When your bus is normally 15 minutes late and it takes an hour and a half to do what a car can do in 20, discussing whether rails are in the street will very quickly make me appear out of touch. It just does. My version of this has been: What is the first thing you do after achieving consensus? Look around to see who is not in the room. And then I walked around for days mystified by the whole thing, until I finally figured out that one of the other professors was a big proponent of working by consensus. Apparently his dictums were having a bigger impact than my histories of the realpolitik of building cities and suburbs. For me, “looking around to see who is not in the room” is about narrowing the gap between what planning has done and what planning should aspire to achieve. But it also gives planners something to do when, despite the best efforts (or not), a decision is made and there are still those who have lost. Acknowledging their loss—their gap between what is and what they would wish it to be—is at least a way of seeing them. Very good theme. Sometimes even the “outreach” doesn’t really bring in the riders until the plan to isolate their neighborhood is announced. A friend once commented tha being an engaged citizen was a full time job. Ironically, win-win propositions are usually declared as such because there’s another group of people who were not in the room who lost that you didn’t see or didn’t care about as much as you did the people inside the room. Transit as win-win universally is one of those propositions. A suburban car-driver who works in another suburb does not win by any stretch of the imagination from higher transit funding even if the vast majority of the population does. I love this theme because (1) it’s harder than ever to find a room where people share and try to comprehend different opinions, perspectives and world views, and (2) the world needs exactly that more than ever. The increasing polarization that comes from filtering every information input is making us collectively stupider and less able to manage change even as change is more immediate. I was surprised to hear that transit planners may be exempt from this issue though. Around where I live there is a monoculture of transit enthusiasts, and a rail-centric political culture who could all benefit greatly from your advice to think about who’s not in the room. I advocate for the building, leasing, selling, and driving of single-width, highway-capable, narrow cars to right-size cars for single occupant drivers. We are currently in the “first they ignore you” stage. I’m looking forward to the laughs, fights, and victories.